* December 2010 – Happy Holidays! Kelly Chang Rickert sworn into ACFLS Board of Directors. Read why you should choose an Certified Family Law Specialist to handle your case. * November 2010 – Law Offices of Kelly Chang’s Divorce and Family Law Blog earns Top Award. * October 2010 – We understand that not everyone can comfortably afford a good attorney. That is why we provide resources so you can educate and represent yourself. Be sure to check out our Divorce and Family Law Blog, updated weekly. * September 2010 – Firm launches new website specializing in Custody. We continue to be top-rated by Martindale-Hubble, as well as Avvo.com. * August 2010 – Certified Family Law Specialist Kelly Chang Rickert appeared as legal expert on Style Network’s 1-hour Special: “The Dish Presents Surviving a Bad Romance”, 8/22/2010, 8 PM PST. * July 2010 – Kelly Chang Rickert comments on Mel Gibson domestic violence case on “Inside Edition”. * June 2010 – Firm celebrates over a decade of excellence! 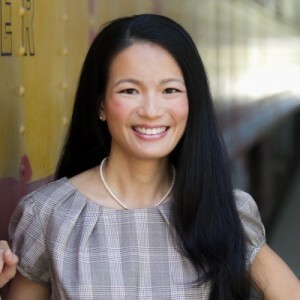 Kelly Chang Rickert once again named “Rising Star” by SuperLawyers and Los Angeles Magazines. * May 2010 – Divorce v. legal separation? Kelly Chang Rickert explains. * April 2010 – Attorney Chang Rickert quoted in Hollywood Life on Sandra Bullock’s rights as a stepmother. * March 2010 – Divorce Law 101 with Ms. Kelly Chang Rickert. * February 2010 – Kelly Chang Rickert quoted in La Opinion. See translated article, “Couples United Only by the Crisis”. * January 2010 – Happy New Year! We are saddened by the tragedies in Haiti. To aid in relief efforts, Law Offices of Kelly Chang will contribute 25% of all attorneys’ fees received this month to the American Red Cross.